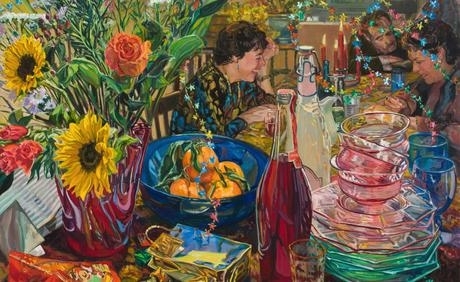 A Feast for the Eyes, guest curated by Franklin Hill Perrell, explores how cuisine has always inspired artists. The exhibition opens on July 30, 2016, and remains on view through November 6, 2016. A Feast for the Eyes, a sweeping two-floor exhibition focused on food and dining in art, features works by Isabel Bishop, Robert De Niro, Sr., Janet Fish, Robert Kushner, Duane Michals, Jane Wilson, Alexi Worth and others.